Magical and mysterious, the crow is one of the most intelligent birds around. A crow will remember your face, and they'll remember the way you behave towards them, so treat them kindly! The ancient Greeks saw crows as symbols of Apollo in his role as god of prophecy, and there are a whole lot more crow stories to be had. 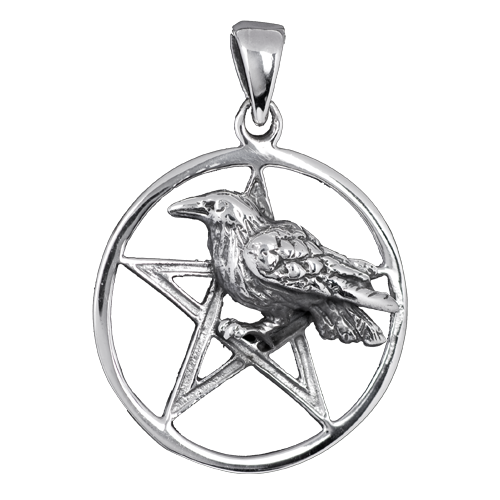 This dramatic pendant says it all, full of personality, celebrating one of our best-loved birds aboard a powerful pentagram symbol.